FQCH-600(700)Computer Hot-cutting & Hot- sealing Bag Maker-Sanyuan plastic packing machinery co.,ltd. On receiving deposit, the delivery time is 20-45 days. This machine is suitable for hot-sealing & hot-cutting high-density polyethylene (HDPE) and low-density polyethylene (LDPE) plastic film. It adopts computer color code-tracking, automatic constant temperature, automatic counting, and automatic batch binding. If it is equipped with a "U "shape bag punching machine, it can make vest bags. 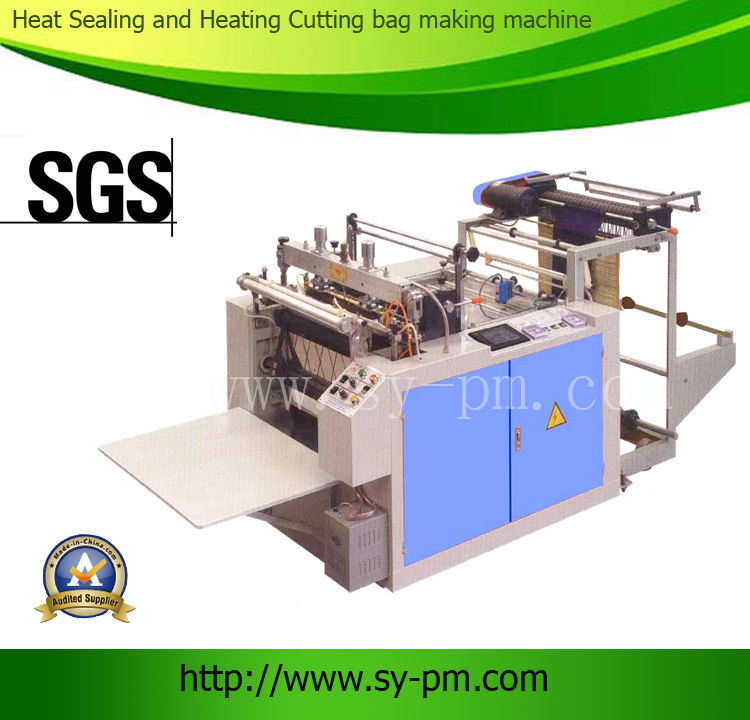 Usage: FQCH model bag making machine is suitable for making print bags or no-print bags. 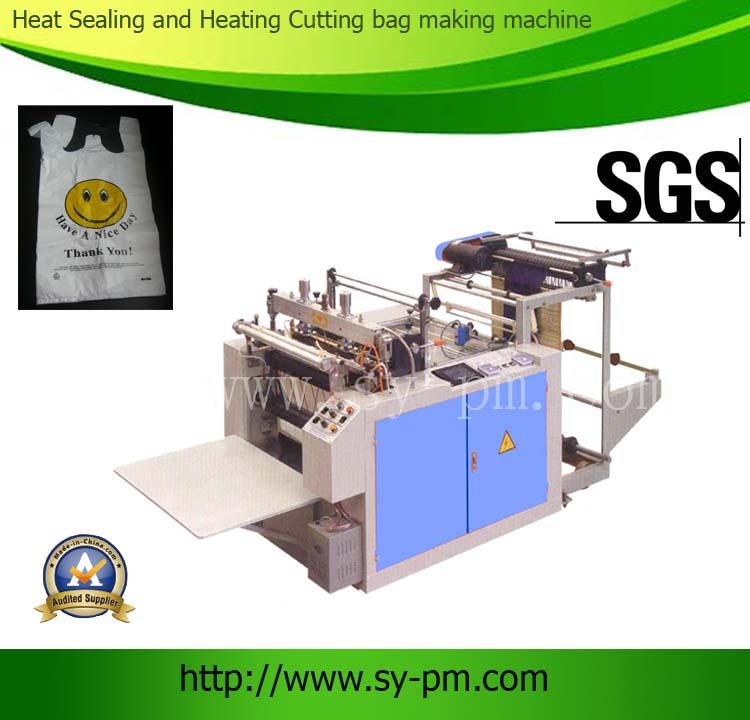 Semi-automatic: it can do one-line production of the following steps: heat sealing and heat cutting.the film has to use another punch to make it into bag.so it is semi-automatic. Computer control system: the user can use the monitor control panel on the computer to read technical parameters, set bag length,working speed . It is very convenient. photo cell: photo cell is used for print bag to do one line production. photoelectric control feeding system: this system is used to control film feeding system. Automatic temperature control: It adopts intelligent temperature controller to control the temperature easily. electric static mover bar: it can treat the static on the film, the finished bags will easily go out and be smoothe. Automatic counting system: user can set the numbers of bags by each bundle. The computer will automatically count it. In this way, the user can easily know the production of bags. Alarm system: when the machine finish the quantities of bags, which is set by the user. The alarm system will give alarm sound to reminder the user its near finishing job. Moreover, if the photo cell can not find the printed mark position, it will also alarm.